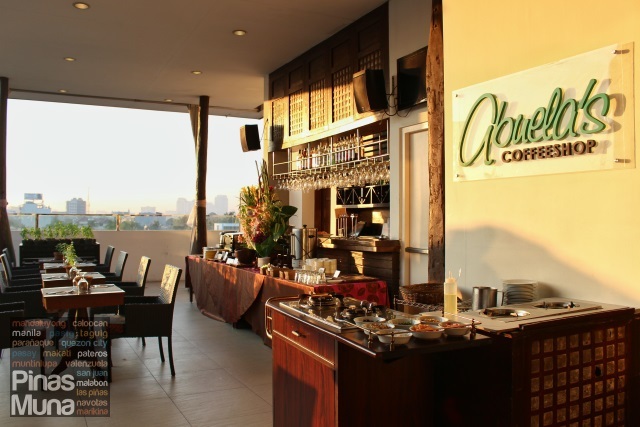 Cocoon Boutique Hotel is a 39-room boutique hotel located at the corner of Scout Tobias and Scout Rallos Street, only a block away from Timog Avenue, in Quezon City. 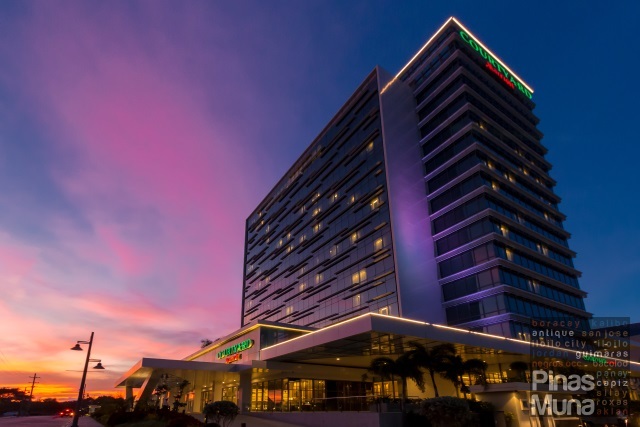 The hotel opened in late 2012 and features modern tropical interiors, with a touch of classic Filipino design, using sustainable building materials and employs energy saving technology and environmental design, making it the first truly green boutique hotel in the Philippines. 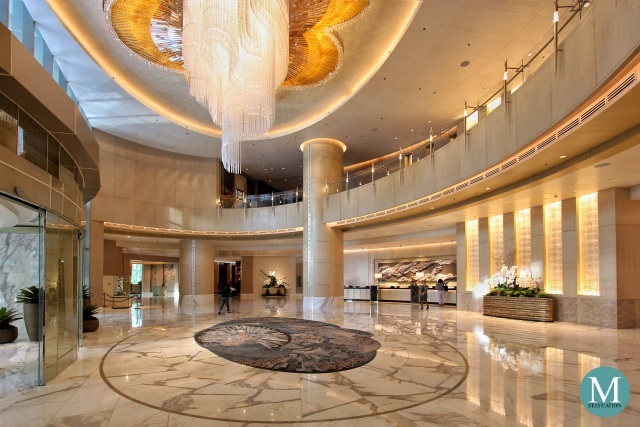 The hotel has a spacious lobby, quite a generous use of space considering its small size. The lobby has high ceiling which extends until the second floor. The facade is made entirely of low-e glass which allows visible light through and blocks heat from outside to radiate into the room. The use of low-e glass serves both the functional purpose of natural lighting and the energy saving purpose of cutting down on use of electricity. 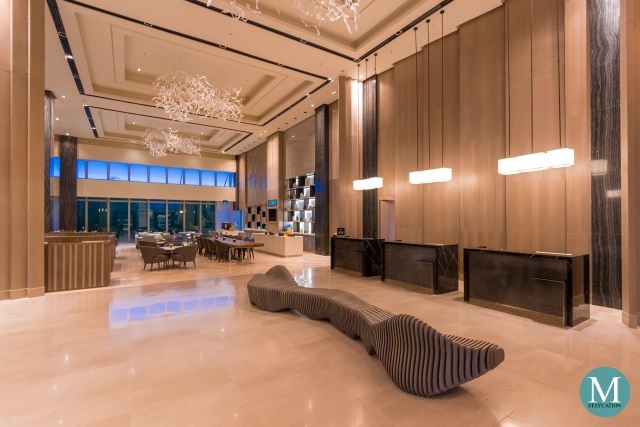 At night time, the hotel uses 100% LED lighting to illuminate the interior of the lobby and other common areas. Use of indoor plants adds to the modern tropical design of the interior and further pronounces Cocoon Boutique Hotel as a green-hotel. 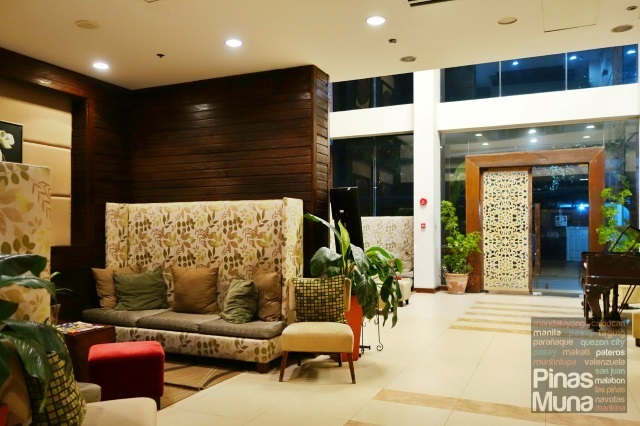 The front office is big enough to support the size of this 39-room boutique hotel, with stylish and comfortable seating area for the guests waiting at the lobby. Ice cold calamansi juice welcome every checking-in guests that perfectly match the cool temperature at the lobby. Front office receptionists are well groomed, very welcoming and responsive. Check-in process was efficient, it was done right before we even finish our welcome drinks. If you arrive too early for check-in, the front office has a luggage room where you can safely leave you bags. We wanted to see more details of the lobby and Ms. Daph, the hotel's operations manager, served as our guide. We were told that the wood used to cover the walls are reclaimed wood, which were salvaged from demolished old houses. 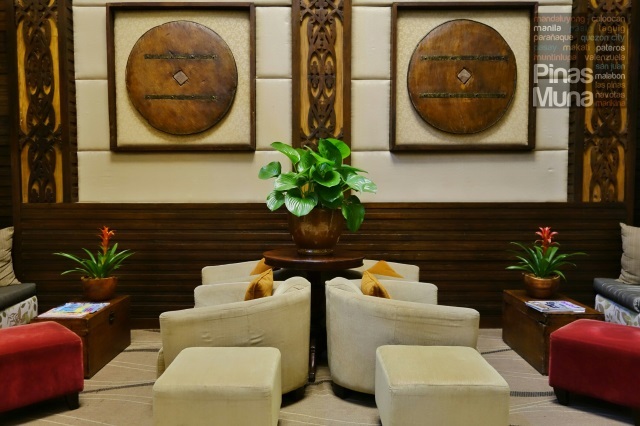 Calado, or intricate wood panel carvings that used to adorn the windows or served as wall dividers in old Filipino houses, have been reused by the hotel as wall accents, giving a touch of Filipino design to the interior. Old wooden carriage wheels are then used as wall centerpieces. From the hotel's lobby, Ms. Daph walked us to our room while another guest services staff assisted us with our bags. Our one bedroom suite is equipped with an electronic key card locking and power system that combines security and energy-saving functions. The suite is cooled down by two units of inverter-type air-conditioners which uses coolants that are not damaging to the ozone layer. Measuring at 65 sqm, the suite is divided into three areas. First is the spacious living area. 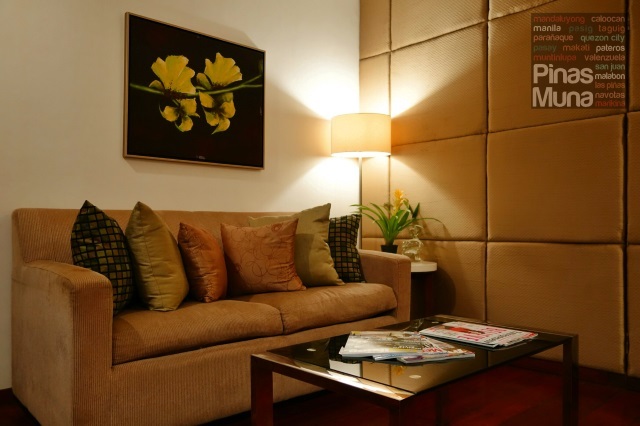 The living area is furnished with a sofa, a center table, writing table and chair. 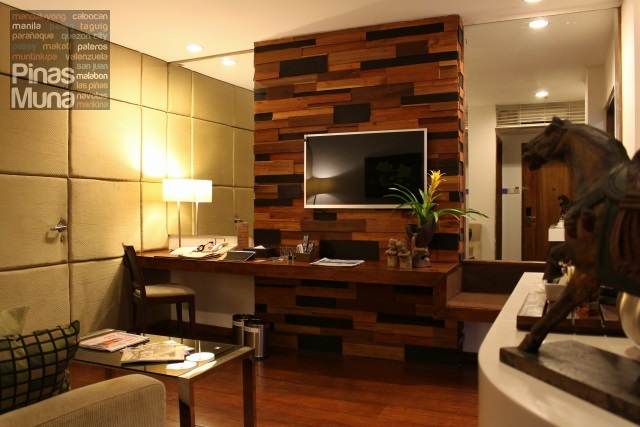 The flooring is made of reclaimed wood while a wall art is made of pieces of scrap wood in various sizes and shades. Mounted on the wall art is a 42 inch HDMI-ready Smart Android TV with USB ports. There's also a mini refrigerator equipped with an absorption cooling system which makes it energy-efficient consuming only 30 watts of power. Warm tone LED lights make the living room feel cozy and homey. Soundproofing foam pads are installed to absorb intrusive sound from other rooms. The living area also has its own water closet. There's also a separate trash bin for biodegradable items and a separate one for non-biodegradable items. From the living area, a double-door leads to the spacious bedroom. The flooring is also made with reclaimed wood. I love the way how the aged look of the flooring matched with some creaking sound made us feel like we were in a Filipino ancestral house. 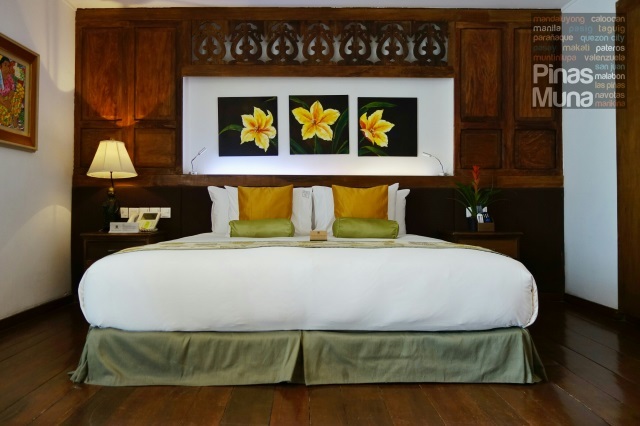 The wall covered with old wooden window panels and crowned with calado, the intricate wood carving, added more classic Filipino touch to the interior. Our bedroom had a spacious wardrobe with wooden coat hangers. Inside the wardrobe are a laundry basket, iron and ironing board, bedroom slippers, a hair dryer, and an electronic safe big enough to store a laptop. The bedroom also has its own 42 inch Smart Android TV. It has a huge window with low-e coating, allowing natural light into room while reflecting the heat out. At night time, LED lights are used throughout the room. 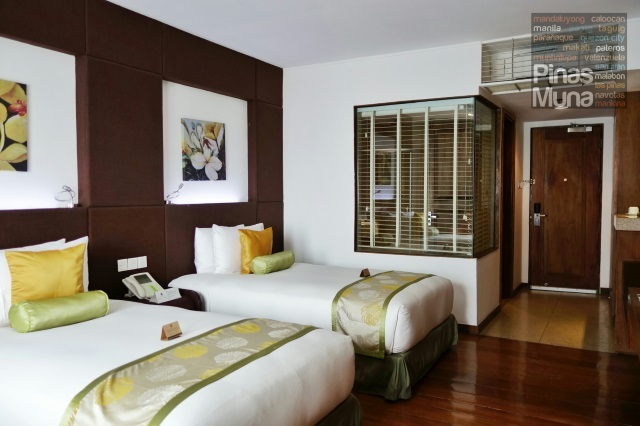 The bed has got to be the highlight, not only of the bedroom, but of our whole stay at Cocoon Boutique Hotel. The ultra-comfy sleep experience begins with the mattress which has pocketed spring for support and memory foam topper for comfort. The mattress is then covered with a 600 thread-count bed linen made of 100% Egyptian cotton. Finally, the bed is topped with a duvet filled with 90% goose down feather. The king size bed is then matched with two pairs of circle-of-down pillows. This is so far the best sleep quality we ever experienced. We were told by Ms. Daph that some guests so loved their bed that they offered to buy the mattress. 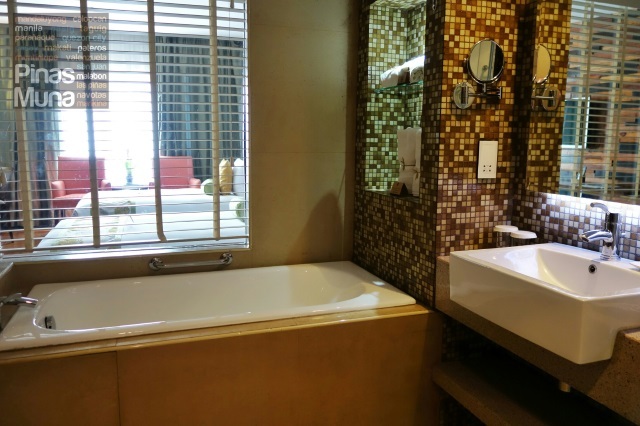 The bedroom has its own private bathroom that is luxuriously spacious. 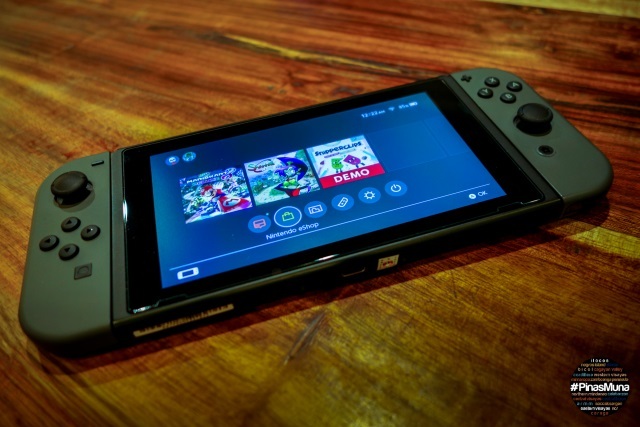 It is equipped with a dual piping system wherein water harvested from rain is stored and used to flush the toilet, water the plant and used for general cleaning. Tap water is then used for the showers and sinks. 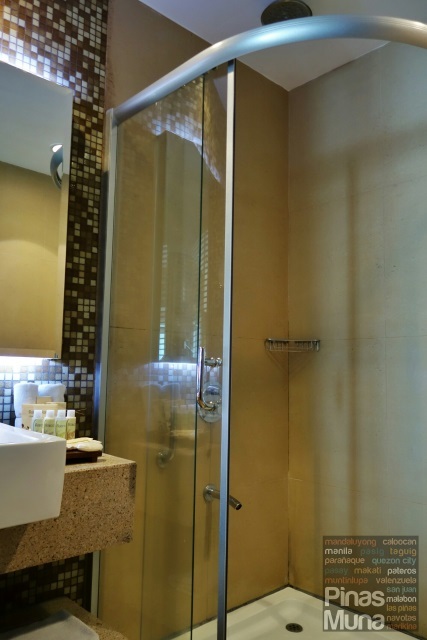 Just like in many 5-star hotels, an enclosed walk-in shower is separate from the bathtub. High pressure heated water flows from the rain shower. The toilet has a bidet installed. 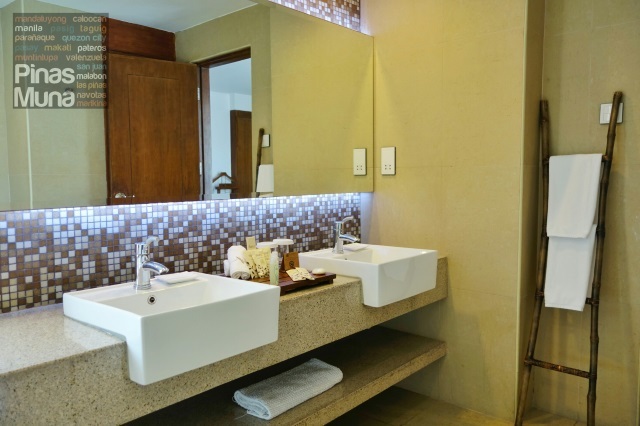 There's double sink with lots of counter top space to put your personal toiletries. Towels made of 100% Egyptian Cotton were also provided. They were very fine and soft, and were very gentle to the skin. 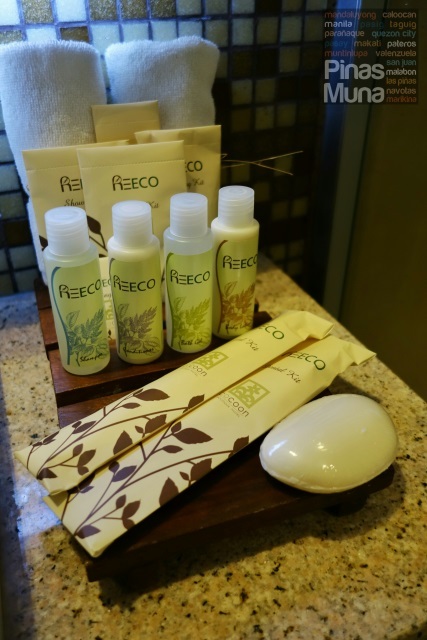 Cocoon Boutique Hotel provides a complete set of toiletries made of natural ingredients under the REECO brand that is certified by France-based Ecocert SA which certifies environmentally friendly cosmetic products. 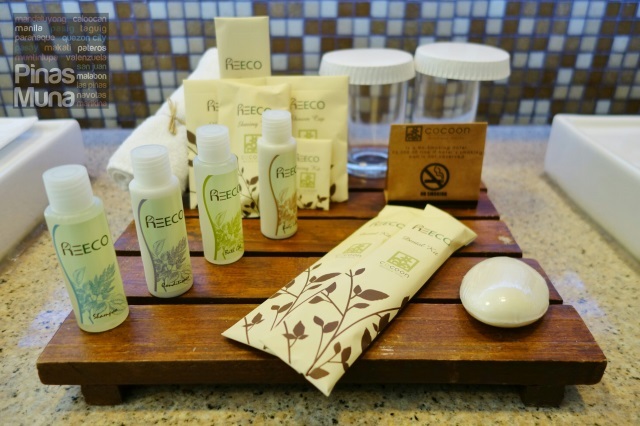 The hotel also provides vanity kits such s combs, shaving kits and dental kits with items made of plasticized cornstarch material which is 100% biodegradable and compostable. The packaging are made with stone-derived paper and printed with soy ink. We also got to view the 32-sqm Deluxe Room. 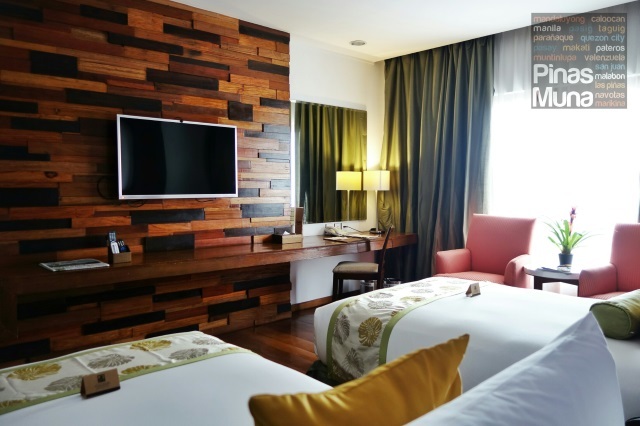 Just like the One-Bedroom Suite, the Deluxe Room also has flooring made of reclaimed wood. It also has the same wall art with a mounted 42 inch Smart Android TV. This one is furnished with twin beds and are in the same quality as our king bed. LED lights are used throughout the room. 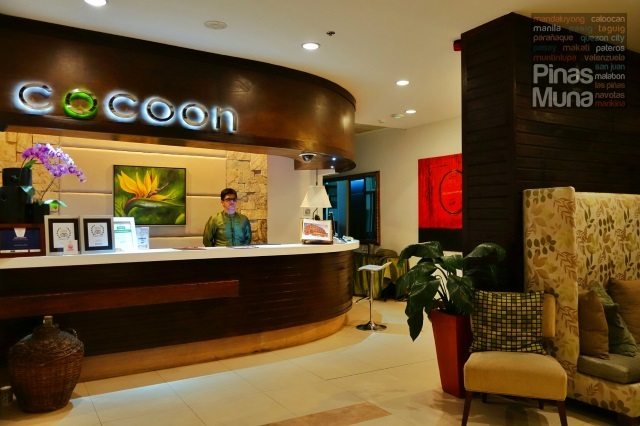 Cocoon Boutique Hotel also promotes Filipino made products by offering local delicacies in its minibar, including Pili Nuts, Banana Chips and Dried Mangoes. In addition, complimentary purified drinking water is served in sterilized bottles instead of the usual disposable plastic bottles. 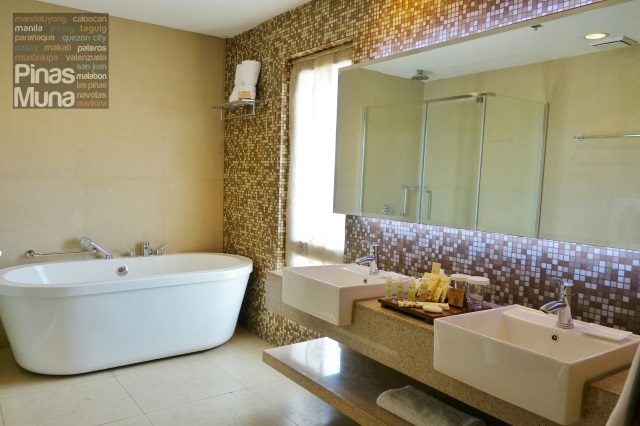 Ensuite bathrooms inside Deluxe Rooms are efficiently spacious with enough room for two persons to move around. It is worth mentioning that all rooms and suites at the hotel has bathtub separate from the walk-in shower. 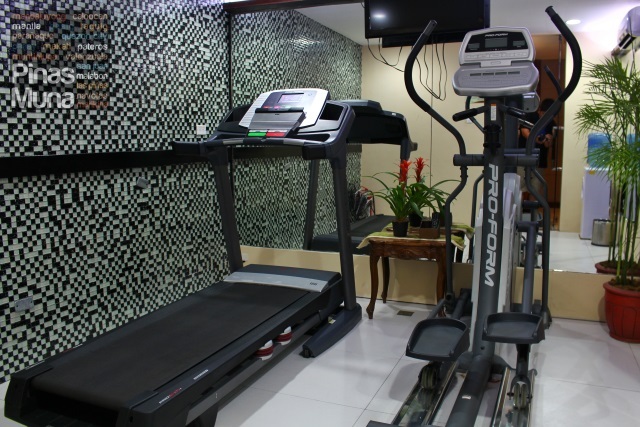 To make sure that you keep fit during your stay at the hotel, Cocoon Boutique Hotel has a small fitness center with the basic cardio equipment. 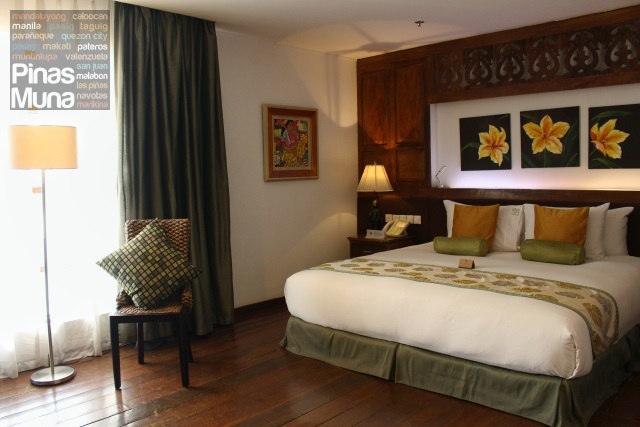 The room is air-conditioned and has its own LCD TV. Water dispenser is also available. 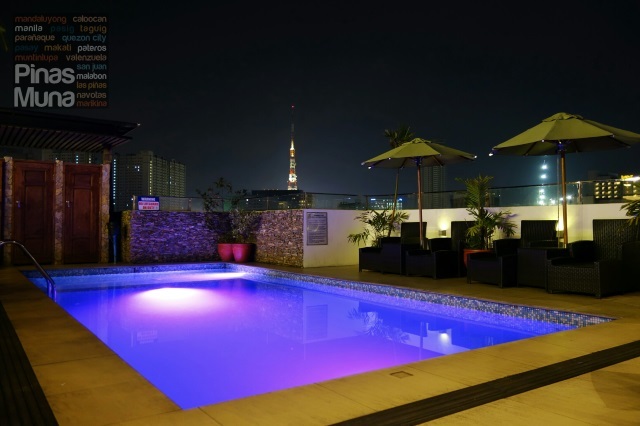 Located at the roof deck is the hotel's swimming pool. We have to commend Cocoon Boutique Hotel for being able to include a swimming pool in its amenities considering its size. The pool is most beautiful at night when it perfectly blends with the QC cityscape. The hotel also houses the Spa at Cocoon. 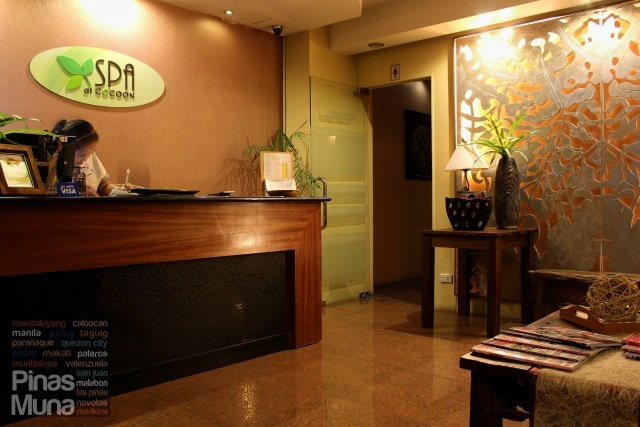 Located on the second floor, the spa offers various massage packages that will suite any therapeutic requirement at different price points. During our stay, we were able to relax in a 60 minute massage. 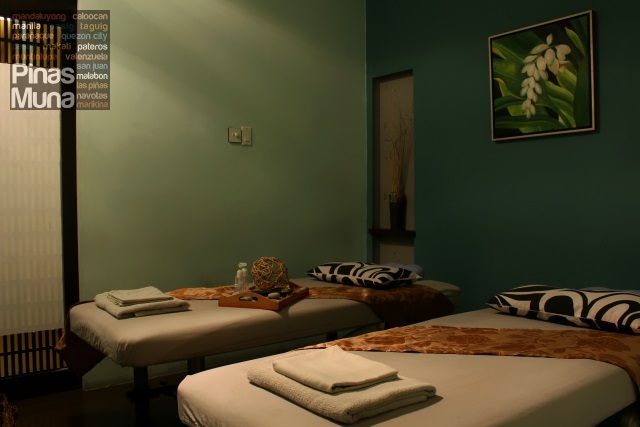 The well trained massage therapists relieved us from back pains and leg pains. 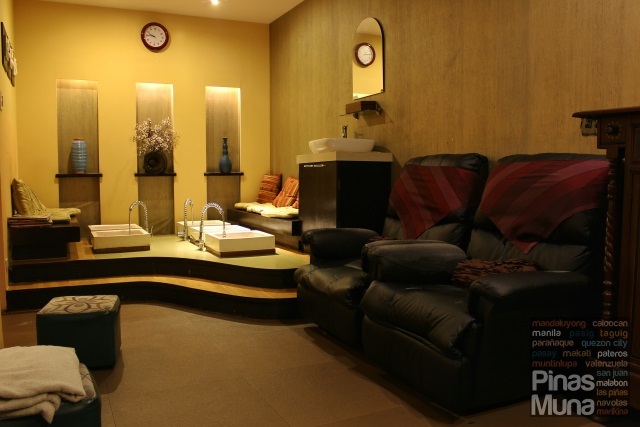 The therma-top massage table added extra relaxation, resulting to a very rejuvenating massage experience. From the spa, we went back to our suite for a quick shower. While Edgar was taking a shower, I ordered dinner through room service. 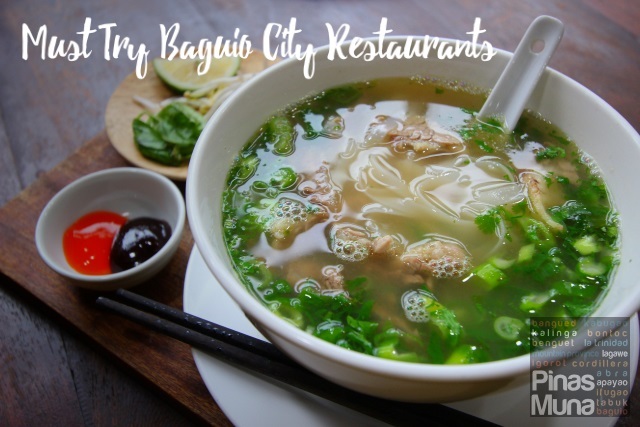 Abuela's Cafe, the hotel's in-house restaurant located at the deck, serves classic Filipino dishes as well as Spanish, Italian and other international cuisines. Room Service is available 24 hours. 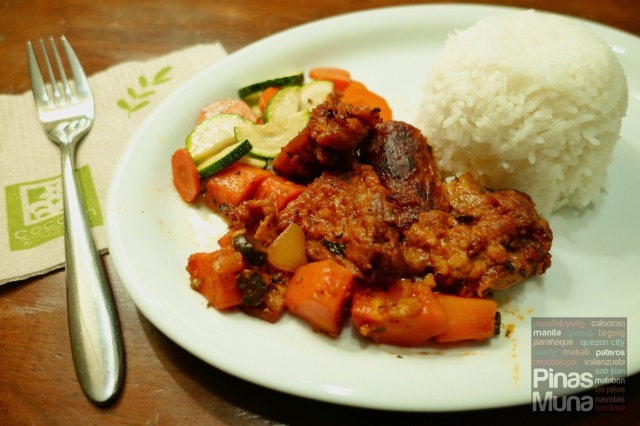 For dinner, we had the Beef Pochero and the Beef Caldereta, both served with rice. It had a generous serving size and is very filling. Dishes are good for single serving. We spent the rest of the night watching cable TV while occasionally using the free WiFi Internet connection inside our room to surf for articles and to check emails and social networks for notifications or messages. It's 6:00am and time to catch the sunrise at the deck. 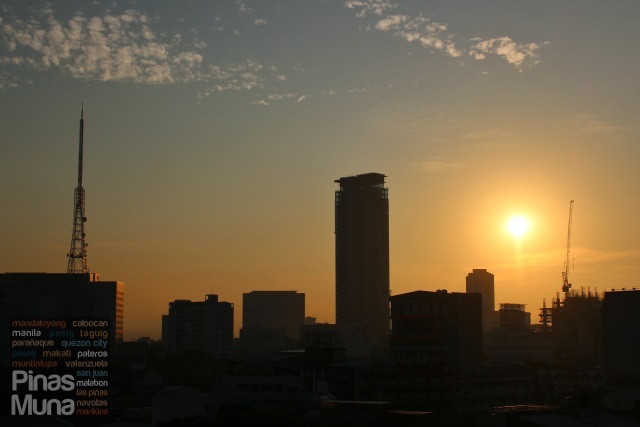 The sun rises beautifully behind the building, creating a silhouette of the QC skyline. 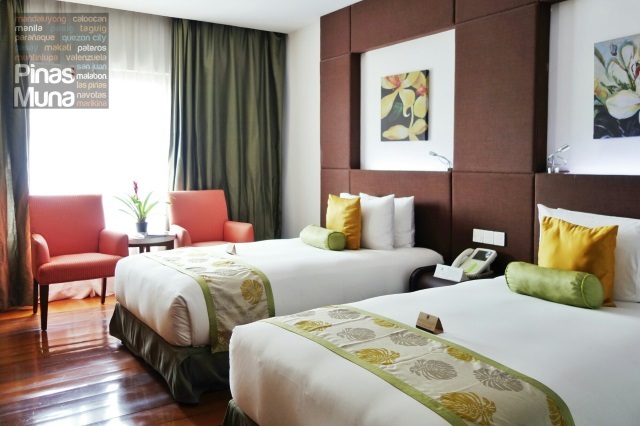 Our overnight stay at Cocoon Boutique Hotel comes with complimentary breakfast for two persons. 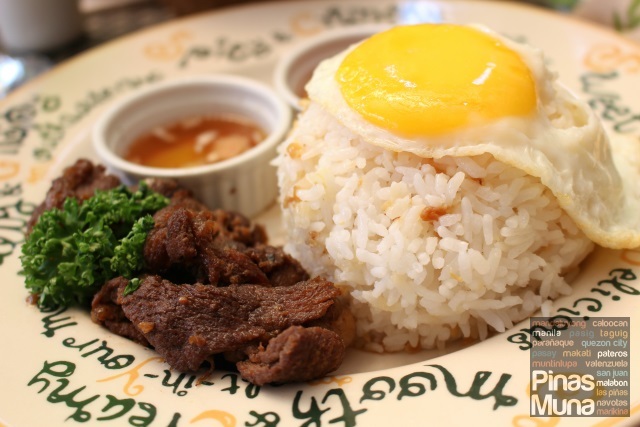 It consisted with a single order of a main dish with choices of international and Filipino breakfast dishes, all served with a choice of egg plus rice or bread. 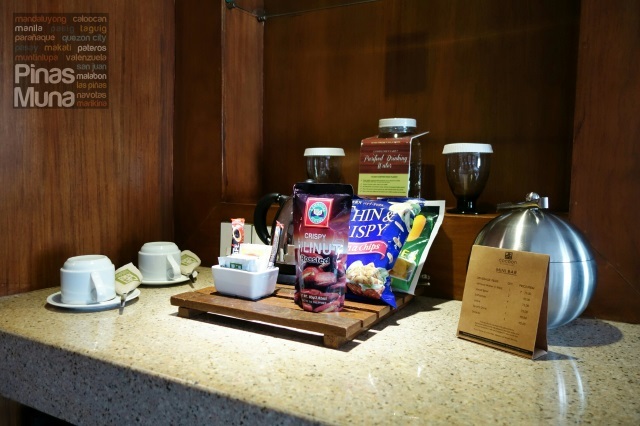 Breakfast also comes with free flowing coffee, tea or chilled juices. 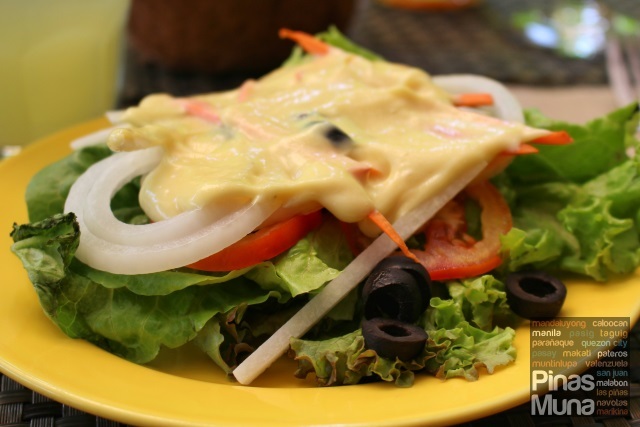 Also included are breads, soups, salads, fruits and omelet served buffet style. By the way, do you notice the old capiz window panels used as wall accents of the restaurant? How about the reclaimed wood used as pillars to support the restaurant's roof? While having breakfast, we learned from the staff that the hotel grows its own herbs and vegetables from its rooftop garden. They don't use fertilizers instead they make their own compost for the plants. This ensures the high quality and freshness of the vegetables they use. Growing their own vegetables also eliminates the need to transport the goods from the market to the kitchen, and also eliminates the need to refrigerate the vegetables to keep them fresh. 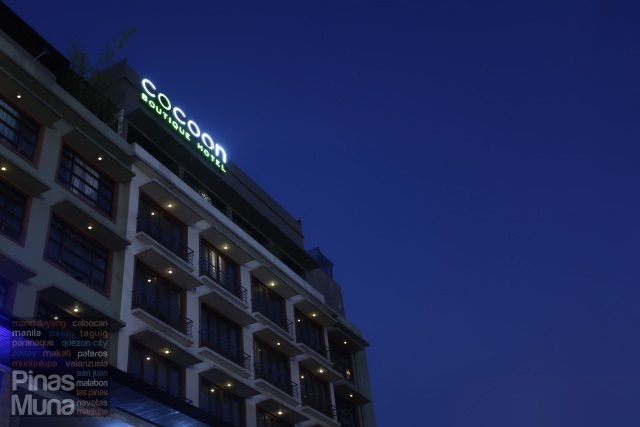 There are two things we liked the most about Cocoon Boutique Hotel. First, the absolute comfort we experienced while sleeping in the hotel's top-of-the-line bed. Second are the eco-friendly initiatives of the hotel that proves that hotels can operate with less impact on the environment. 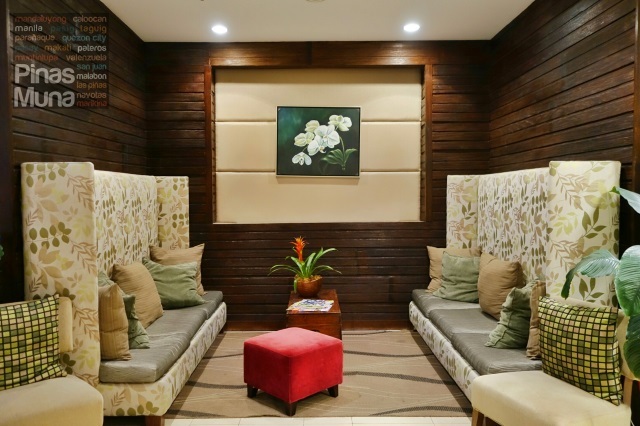 Staying at Cocoon Boutique Hotel does not only promotes well-being through relaxation, but also promotes green-living. 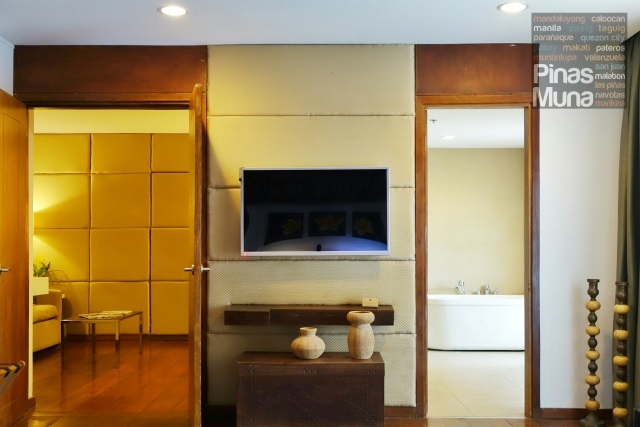 These are two lifestyles perfectly blended by Cocoon Boutique Hotel, and waiting to be experienced right here at the heart of Quezon City. The way you described the bed really got me curious. I have a constant backpain that's why I am very particular about the bed I sleep in. 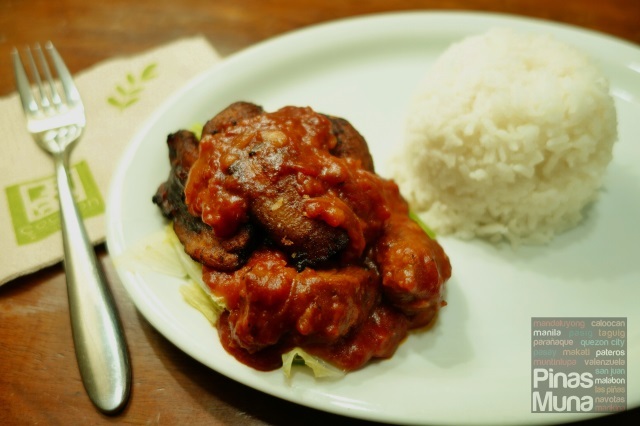 I gotta try Cocoo very soon, it's just near my place in San Juan.